One of the best autumn planting varieties we have seen recently on the trial grounds – highly recommended! New to D.T. 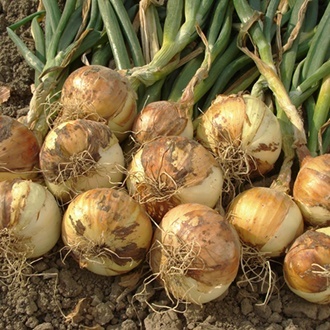 Brown, this British bred variety produces high yields of tasty, good sized bulbs which are darker brown-skinned than most varieties once dried off. Shakespeare has excellent skin formation that means it shows good storage potential well into the winter months.